In a very interesting piece on his web site (Mondoweiss) Philip Weiss has speculated that the day is coming when American Jews will divorce Israel. If it really happens the president of the day will be free to use the leverage America has to cause or try to cause Israel to end its defiance of international law and denial of justice for Palestinians. And if an American president gave that lead European governments would follow him or her. According to Weiss an important “sociological trend” is underway. In support of his speculation Weiss quoted Gary Rosenblat. He’s a hard-core supporter of Israel and the editor and publisher of The Jewish Week. In an article for it and as summed up by Weiss he revealed that Jewish leaders are saying that it’s getting impossible to sell Israel to young Jews. “American Jewish leaders confide that generating support for the Jewish state is becoming increasingly difficult these days – even within the Jewish community, and especially among younger people. A related point made in Weiss’s article was that when the present generation of major Jewish funders passes raising substantial dollars for Israel will be much harder. Weiss concluded with this prediction. Serious consideration of whether Weiss is guilty of wishful thinking and being naively optimistic or could be proved right by events to come requires the asking and answering of this question. 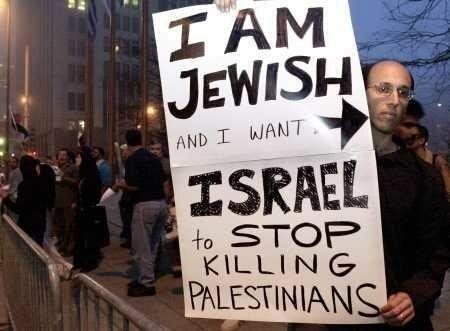 Why, really, have the overwhelming majority of the Jews of the world, American Jews especially, supported Israel (the Zionist not Jewish state) right or wrong and/or remained silent even when they were deeply troubled by its policies and actions? It’s worth recalling for starters that prior to the Nazi holocaust, and as I document in detail in my book Zionism: The Real Enemy of the Jews, most Jews of the world did not support Zionism and many were opposed to it. Those who voiced their opposition believed the Zionist enterprise was morally wrong. They also believed it would lead to unending conflict. But most of all they feared that if Zionism was allowed by the major powers to have its way it would one day provoke anti-Semitism. Though it was Britain that gave Zionism a spurious degree of legitimacy with the Balfour Declaration in 1917, if there had been no Nazi holocaust it is most likely that there would have been no Israel because without Adolf Hitler as its best recruiting sergeant Zionism would probably have failed to command enough financial and political support to impose its will on the Palestinians. Also to be recalled is that from the creation of Israel mainly by Zionist terrorism and ethnic cleansing in 1948 until the Six days War of 1967 most Jews of the world were not much interested in Israel. At an early point in its life Prime Minister Ben-Gurion was very concerned that not enough Jews were coming in to start a new life there and give Israel the manpower needed for territorial expansion. One consequence of Ben-Gurion’s concern was that Mossad agents posed as Arab terrorists and bombed Jews out of Iraq and into Israel. It was the 1967 war that dramatically changed how most Jews of the world thought about Israel and that was because they believed without question the big, fat lie Zionism told in the countdown to the war. The lie was that the Arabs were intending to attack and that Israel was in real danger of being annihilated. The truth was that despite some stupid Arab rhetoric to the contrary which played into Zionism’s hands, the Arabs were NOT intending to attack. It was a war of Israeli aggression not self-defense. For those readers who still believe that Israel’s Jews were in danger of being driven into the sea I recommend Chapter 1 of Volume Three of my book which is titled America Takes Sides, War With Nasser Act II and the Creation of Greater Israel. In this chapter I quote a number of Israeli leaders who years after the events in most cases said on the record that they knew that Arabs were not intending to start a war. Here are just five examples. On 14 April 1971, a report in the Israeli newspaper Al-Hamishmar contained the following statement by Mordecai Bentov, a member of Israel’s wartime national government. On 4 April 1972, General Bar-Lev, Rabin’s predecessor as Chief of Staff, was quoted in the Israeli newspaper Ma’ariv as follows. But the vast majority of the Jews of the world (probably 99 percent of them) believed Zionism’s pre-war propaganda. They were absolutely convinced that the Arabs were about to attack and that Israel’s existence was in real danger. In the absence of the truth, which was not on the mainstream media’s agenda, they were brainwashed by Zionist propaganda. One result of Israel’s stunning military victory was that most Jews of the world were not only greatly relieved, they were proud like never before to be Jewish and campaigners for Israel. Some took Israel’s victory as indication of Divine Intervention, proof that the Jews were indeed the Chosen People and evidence that God would be with Israel whatever it did. And that was the beginning of the real love affair between most Jews everywhere and Israel. Now to my answer to the question of why, really, the overwhelming majority of the Jews of the world, American Jews especially, have supported Israel right or wrong and/or remained silent even when they were deeply troubled by its policies and actions. For starters it has to be said that criticism of Israel can and does tear Jewish families apart. And that alone seems to be reason enough for some (many?) American and European Jews to remain silent. But there’s much more to it. The root cause of American and European Jewish support for Israel right or wrong and/or silence on the matter of its defiance of international law and denial of justice for the Palestinians is the unspeakable fear that Holocaust II may at some point be inevitable. This fear is the product of persecution on and off down the centuries which climaxed with the Nazi holocaust and Zionism’s propaganda to the effect that the world has always hated Jews and always will. Zionism’s message to the Jews of the world is in effect, “You will need Israel one day so don’t question whatever it does to keep itself secure.”. It is therefore not surprising that very many Jews of the world believe that in the event of another great turning against them Israel will be their refuge of last resort, so, they tell themselves, say nothing and do nothing that could assist Israel’s enemies and put this insurance policy at risk. Despite all of that I think it’s not impossible that Weiss could be right and that time and events will see American (and European) Jews breaking with Zionism and all its represents. But in my view it won’t happen as a consequence of more and more Jews becoming “embarrassed” by Israel’s policies and actions. Embarrassment is not a strong enough motivation to cause the Jews of the world (American and European Jews especially) to do what they must if they are to best protect their own interests. What is it that they must do? Short answer – they must open their closed minds to the truth of history as it relates to the making and sustaining of the conflict in and over Palestine that became Israel. If they did they would discover that Israel’s existence has never, ever, been in danger from any combination of Arab military force and that it could have had peace with the Palestinians many years ago on terms which any rational government in Israel would have accepted with relief. In other words, exposure to the truth of history would prove to them that Zionism’s version of it – a version to which most Western politicians and the mainstream media are still attached – is, generally speaking, a pack of propaganda lies. Perhaps even more to the point is that exposure to the complete truth of history would make American and European Jews of today aware of the warnings that were voiced by Jewish leaders who opposed Zionism before the Nazi Holocaust. As I indicated above, their main fear was that if Zionism was allowed by the major powers to have its way it would one day provoke anti-Semitism. What it has been provoking for many years is a rising, global tide of anti-Israelism, but the danger for American and European Jews is that this could be transformed into anti-Semitism if American and European Jewish support for Israel right or wrong is interpreted as complicity (even if by default) in Zionism’s crimes. The most explicit warning of this danger was delivered by Yehoshafat Harkabi, the longest serving Director of Israeli Military Intelligence in his 1986 book Israel’s Fateful Hour. In my book I quote him at length but here in one paragraph with my emphasis added is the essence of his warning. If Harkabi was alive today (he died in 1994), and given that Israel is not going to change course and that its brutal oppression of the Palestinians will only get worse and worse, I think he might agree with me that unless the Jews of the world divorce themselves from Zionism, anti-Israelism will be transformed into anti-Semitism at some point in the future. It’s that vision of the future that ought to motivate American, European and other Jews of the world to come to grips with the truth of history and the conclusion it invites – that Zionism is their real enemy. The problem for some and perhaps many American, European and other Jews of the world is that divorcing Zionism would mean that they were saying, in effect, that they no longer had need for the insurance policy of Israel as a refuge of last resort. And that would raise a perfectly valid question. How can they be certain they will be safe and secure in their American, European and other homelands if they do abandon the Zionism? My answer (as in my book) is this. After the Nazi holocaust, and because of it, the giant of anti-Semitism would have gone back to sleep, remained asleep and, in all probability, would have died in its sleep – IF Zionism had not been allowed by the major powers, first Britain and then America, to have its way, as Balfour put it “right or wrong”. In that light I say there is every reason to believe that the Jews of the Western world will remain safe and secure if they demonstrate by divorcing Zionism they are not complicit, even by default, in its crimes. Allegiance to Israel whether by Jews or the shameless others, particularly the western politicians and journalists, is not only a glaring blot on their escutcheon, but is a damning confirmation of complicity in its barbaric crimes against humanity as evidenced by the daily brutality it dishes out to a defenceless population under its occupation. The big lie about the 1967 war is only one of great many that the Zionists have used to usurp Palestine. The whole project is built on big lies. Lastly, if the American Jews distance themselves from their unruly vicious pet in Palestine, that will not translate to relaxation of their stranglehold on the corridors of power or give a US president any leeway to act independently. One should always remember that, shall we call them, the Illuminati are the most dangerous criminal syndicate in the history of the U.S. Most US Zionists are Christians they are a bigger worry. The loaded card game has changed again, with King Trump off had declaration reply to the zio Wolf dog 1/25/16. I will move the American embassy. Is it to occupied Palestine, or ever expanding zio land, of tears? How many more lives are to be forfeited for this Sliver of Stolen Territory In the Middle East..[ that they call Isitreal ] that is so determined to Push Their Way Thru Rivers Of Blood To Gain Leverage They Will NEVER be able To Keep ? Even their jewish Brethren Can not Suffer This To continue. The "Foolish Dream their 'ancestors' Have schemed to Put together >>Is Turning to Dust Before their EYES. THEY Realize Just HOW Wrong And Delusional It IS to Pursue. The Whole World IS Turning Against These Misguided Zionist jews.. They See What is Ahead for The Jewish People..If they Don`t very soon now.. Change Their 'Direction. They have Blown their Last Trumpet.. Best to heed its` warning. Our God will not Ignore This Travesty For Much Longer. For you who seem hell-bent on "supporting This Place..And Thinking it to be your "social security'' When There is Nowhere else to Run to...Remember..That Would BE A Very Bad Plan.. to herd yourselves all up in One Spot ! Bad Planning. Best TO Stop All this HATE You Have Been Building UP For Yourselves..And Learn How to Join the Human race..And Realize YOU ARE NOT Gods` Chosen..And HE will NOT Take Kindly To your Ever Trying TO Put yourself Above Any Other Human Being. For..WE ARE ALL Gods` Chosen. THE Blood-Letting Has to STOP. I wonder how the crooks in the White House will try to carry on the killing as normal when American Jews finally turn their back on this? That goes too for the Israel apologists in the UK and Europe. I expect them to for they are dangerous exploitative psychopaths far worse than your average serial killer. They have an inverse "morality" to the rest of us. Dear Hart - I hate to spoil your opinion of Philip Weiss or 'Mondoweiss'. It's a Israeli fifth column within pro-Palestine electronic media. Philip maybe anti-Zionist regime, but he never hesitated to disciple commentators who dared to challenge Jewish occupation (Israel) of 78% of the historic Palestine or criticized Jewish communities over the criminals among them. Dr. Finkelstein made a similar statement about Israel losing American Jewish support several years ago. However, how much truth in this claim - just look at the statements issued by all 20 presidential candidates for 2016 election. They're all unanimous in their blind support for Israel and hatred toward Palestinians and the rest of 1.7 billion Muslims. All 2016 presidential hopefuls are trying their best to convince the powerful Jewish Lobby in United States that he/she would be more loyal to Israel than United States. However, the Jewish Lobby is not fully convinced. It wants the next US president more subservient to Netanyahu than Barack Obama, who is accused of throwing Israel under bus over P5+1 and Iran nuclear deal. On October 9, 2015, Jewish commentary website The National Interest, published Israel-First John Ford’s cry that next American president’s priority must be repairing US relations with Israel damaged by its friendly gesture to Iran. “In January of 2017 a new president will be sworn. He or she should immediately seek to repair American relation with Israel. From the Israel perspective, a strong relationship with the US provides valuable security in a dangerous region. From perspective of the US, Israel can check the rise of a regional power that could threaten the position of United States….. Until 1979, America aligned itself with Iran to check Soviet influence in the Middle East. Now, with the Soviet Union gone, Iran is the country that poses the greatest risk becoming a regional hegemon that could drive American influence out of the Middle East,” Ford said. Why are the Jews 'hated' through the centuries-why have so many great men been so critical of this religious tribe-? They are not a 'people'- as Shlomo Sand has so eloquently proven. Why does Western culture allow Jews to make questioning of the 'holocaust' numbers an imprisonable offence? This is repellent to the Western mind . Our politicos have become available to highest bidder. All of this imposition of Jewish blackmail can only lead to an explosion -The Hebrew tribe brings nothing to civilisation that has to do with questioning debate challenge to the conventional wisdom! I fear that one of these days the jews shall again suffer another unforeseen and tragic reversal and they would have only themselves to blame!